Long fingers lend themselves well to essentially any style ring, but when making the final selection, you should give thought to several aspects. For example, wider bands usually enhance long fingers and square stones, such as the princess cut, are particularly flattering. Long fingers can also carry off bold styles, if you find that type of jewellery appealing. If you are looking for an engagement ring to flatter short fingers, consider a Marquise shaped diamond, pear or oval-shaped stone, as this will create the illusion of longer fingers, regardless of their width. Emerald-shaped stones or other rectangular cuts can also appear to lengthen short fingers, but you should avoid styles that are so large that they overwhelm your hand. Narrow-width, slender bands create the illusion of length as well. If your fingers are slender, the most important thing to remember is that they should not be overpowered by ornate styles or large gems. Rather, small stones can make slender fingers appear wider, and thicker bands have this same effect. The key to shopping for an engagement ring for broad fingers is finding a style that does not show much skin on either side of the stone, as such styles can make wide fingers look even broader. Try on a rectangular, Marquise or wide, oval-shaped diamond set in a medium to thick band. Styles of this kind are typically perfect for those with wide fingers. If you think your knuckles are too large, choose a heavy, thick band with a broadly cut stone, as this style will draw attention away from the knuckle. Another great tip, make sure the ring is sized on the tighter side. This way, the ring will sit snug on your finger. The ring will feel more comfortable and will not slide around as much. As you will be wearing the ring more often than you will be taking it off and on, it is worth the extra effort getting the ring on your finger. If your hands are somewhat small, consider choosing an engagement ring with a thin band and a heart-shaped, oval, or princess cut stone. Such rings enhance the delicacy of smaller hands, rather than having an overwhelming impact. The key to any great engagement ring is its proportions overall as a single piece; as well as, the proportion of the engagement ring or wedding band compared to the hand. It will provide an overall more pleasing look. If you have large hands, you can easily pull off ornate, chunky styles and thick bands. However, you may have to try on several different styles to find one that best complements your fingers. Another great option would be stackable bands, which you could interchange and move to different fingers until you find the perfect look. Ultimately, you are the best judge of what looks appealing and what does not, so do not be afraid to go with your instinct. 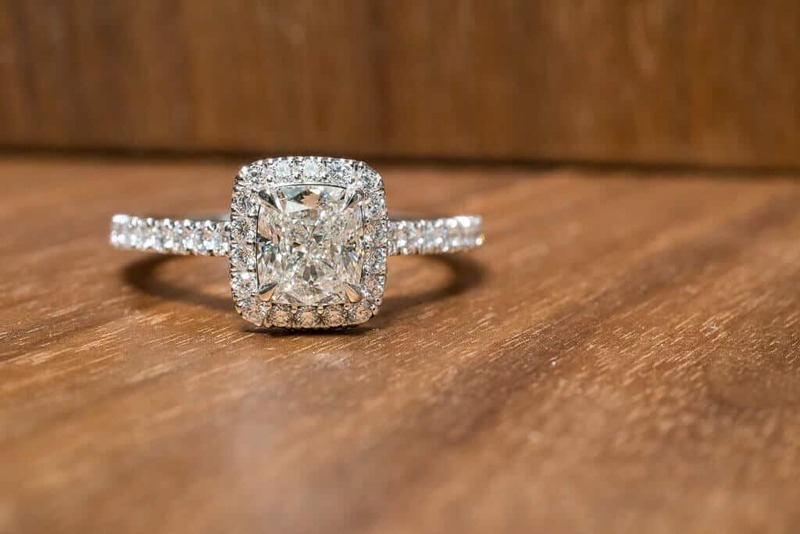 You will likely discover that with a little time and effort, the perfect engagement ring can be found to please both you and your prospective spouse. Each person has unique tastes and likes; thus, these suggestions should be used as a loose guideline instead of a rigid set of parameters to stick to. Try on a variety of styles, and select the one that you think you or your spouse will love and treasure for a lifetime. This is something she will have for a very long period of time, so insure you move carefully and think in depth about your choice. Good luck, and enjoy the process!